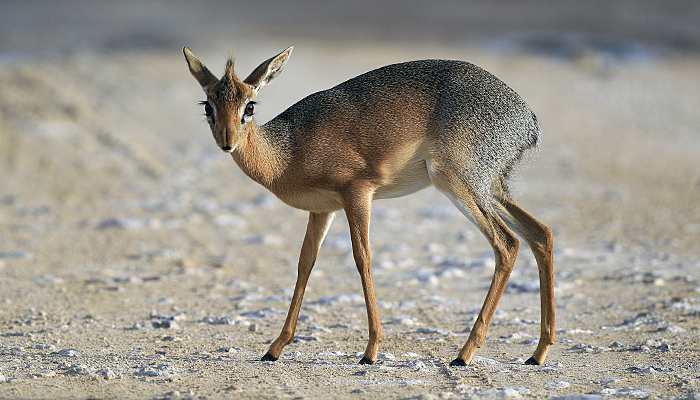 The most exciting part of any trip to Namutoni in eastern Etosha is taking doing the dik-dik drive loop. 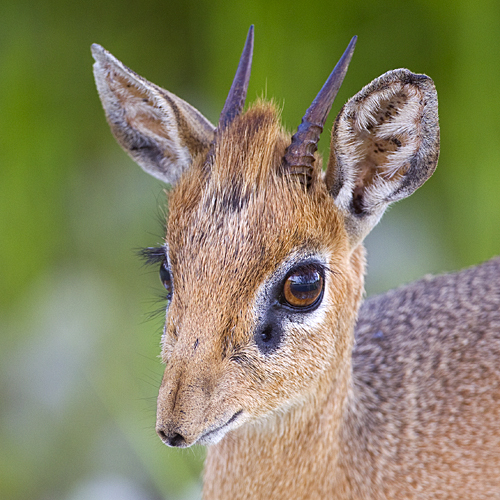 It is, as the name suggests, named after its most famous residents — the Damara dik-dik. 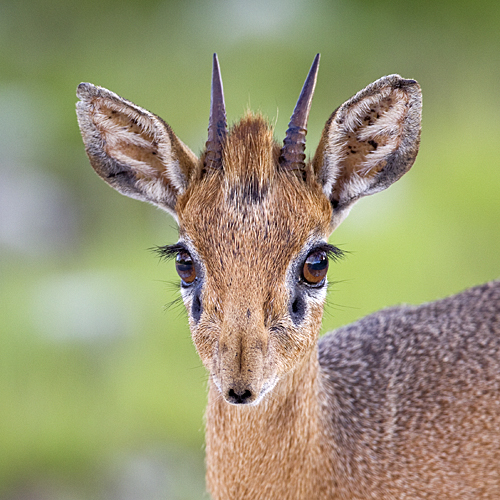 The fact that dik-diks are almost guaranteed here may not be a little farfetched as I’ve always seen dik-diks, and many pairs of them, each time I’ve done the trip. However, less than a dozen trips may be a statistically insignificant sample I suppose. In the other places that I’ve seen them, these small ungulates are rather shy and stick to dense vegetation, but here they seem to be very comfortable with cars and often stay right beside the road. That is a great opportunity to look at these beautiful animals that are so strangely built!